You're always trying as a film reviewer to rationalise or explain why you might like or dislike a particular film. The more you learn about the history and mechanics of cinema, the easier it is to form more comprehensive opinions so you can argue your corner in the bar afterwards. 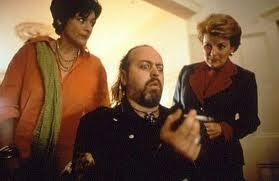 But in spite of our best efforts, there are always some films whose appeal is hard to pin down. 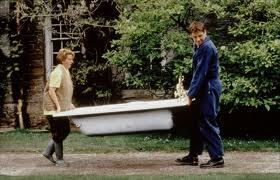 Saving Grace is one of those films, like so many British comedies, which you enjoy almost in spite of yourself. It's not quite a guilty pleasure, because there is nothing about it which could be considered bad taste or grossly unfashionable. You certainly wouldn't advertise it as one of your favourite films if the topic came up in conversation. But in amongst its flaws there is genuine enjoyment to be had, even if it is slightly embarrassing for so-called film buffs to admit it. It's very easy to be sniffy at this kind of British comedy. Saving Grace is set in the quintessential English village where nothing seems to happen but everyone has their little secret. The villagers are old-school, whimsical and sheltered from the outside world; it is the case of place, as Roger Ebert put it, where the works of P. G. Wodehouse constitute realism. The gardening group in particular are just the sort of parochial organisation that was mercilessly satirised in Hot Fuzz some years ago. The comic roots of Saving Grace are all quintessentially British, in both a good and bad way. It owes a certain amount to the comedies of Will Hay, with the light-hearted execution of the marijuana-growing being of a similar tone to the smuggling in Ask a Policeman. The setting of a remote fishing village, and the romantic subplots therein, tip their hat somewhat knowingly to Local Hero. And there is a loose connection with the Ealing tradition in the involvement of older women in crime: one could almost describe it as Arsenic and Old Lace meets Up in Smoke. The film has a familiar stock of British dramatic and character actors, making it feel like the sort of work people take in between series of Midsummer Murders. 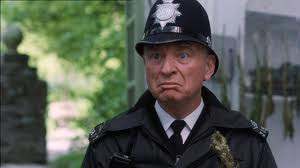 Ken Campbell is the archetypal plod who seems completely incompetent but is secretly on to the main characters. 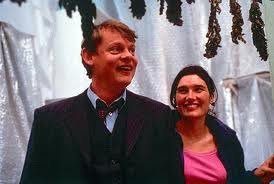 Martin Clunes, in a lighter foretaste of Doc Martin, is the lovable but often oblivious local doctor. Bill Bailey, who also appears in Hot Fuzz, turns up for a brief cameo as a drug dealer and almost steals the entire film. And you know when a film is British with a capital, export-driven 'B' when the credits include the words "and Leslie Phillips". On this basis, you would expect Saving Grace to be a flimsy blancmange of a film, barely hanging together on the strength of a few famous faces. In fact, it's surprisingly well-directed. 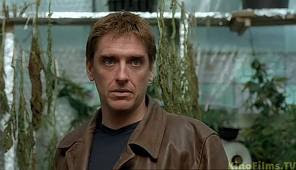 Nigel Cole may not be the most elaborate or talented visual artist: the lightning effects are second-rate and his use of montage doesn't do much to disguise the slight nature of the plot. But he does at least stay focussed on what story there is and maintain a steady, reassuring tone. This alone is enough to elevate Saving Grace over something like Keeping Mum, which could never decide what it wanted to be or why it wanted to be it. The plot of Saving Grace may be slight and utterly predictable, but the warm tone created by the likeable characters leaves us less disappointed than reassured when all the different cogs slot into place. In the absence of breaking or remoulding conventions, the next best thing is the pleasure of watching all the pieces fit together through a director who has faith in the material and knows exactly whom his or her audience is. Cole's skill as a workmanlike 'reassurer' mean that we almost forgive him for the last ten minutes, as which things go completely off the rails and descend into ripping off the Songs of Praise episode from The Vicar of Dibley. One of the classic pitfalls of stoner comedies is their tendency to pitch jokes solely towards people who might be stoned. There is no more damning criticism of any film, let alone a comedy, to say that it would be improved if watched through a cloud of illegal chemicals. Fortunately Saving Grace does not fall into the trap of later stoner efforts like Pineapple Express and Your Highness, for the simple reason that it is not really about marijuana at all. At the centre of Saving Grace is a woman who has relied on men all her life, and who has settled into being the model prim and proper English housewife. But her husband's suicide and financial irregularities shake her perceptions, and she struggles to cope with both the threat of bankruptcy and the seeming inability of men to help her in any way which doesn't put her at a disadvantage. Both Brenda Blethyn and Valerie Edmond's characters find themselves ignored or let down by the very men they thought they knew and could trust. For all his frequent concessions to cliché and sentimentality, Cole has a good track record with making films which play to a female audience, and which are genuinely about woman rather than simply having women in them. This is a good companion piece to his later works like Calendar Girls and Made in Dagenham, not only as a means of having a good time, but as proof that it is possible to make a commercially successful film which is driven by rounded and believable female characters. 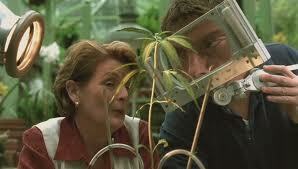 On top of this, Saving Grace is genuinely funny for most of its running time. 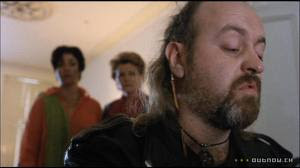 There are a few big chuckles along the way - for instance, Bill Bailey testing Grace's hemp and going all wide-eyed at the results. 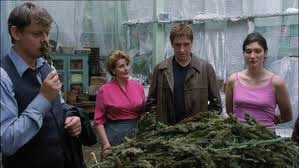 And there are a few awkward moments which produce a laugh mixed with a cringe, such as Grace trying to approach drug dealers in London looking like she has just come from the Grand National. Most of the humour is little guffaws or sniggers at the whimsy of the characters, but the fact remains - it's funny, and therefore passes the acid test of a comedy. The real proof of the film's steadiness of tone and belief in the central story comes in the scene involving the two elderly ladies in the post office, who in a previous scene accidentally drank some of Grace's hemp after mistaking it for tea. This is the point, as we watch them rolling around, laughing and eating individual cornflakes, that the whole film could take its eye off the ball and go for the lowest common denominator. 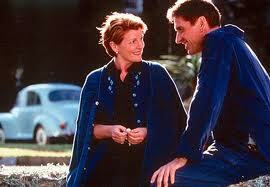 But whether by directorial skill or the actors' timing, it works, and holds together. 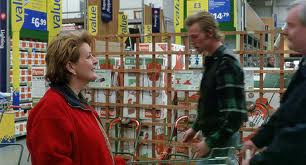 The performances in Saving Grace are pretty decent across the board. Most of the supporting cast are conforming to type - Clive Merrison is always that intense, Leslie Phillips always that smarmy, and Martin Clunes always that oblivious. 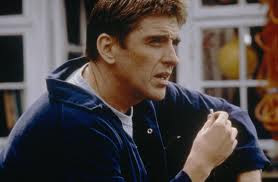 But Craig Ferguson, who co-wrote the script, is very charming as Matthew, and Brenda Blethyn excels in the lead role, coming across as warm and likeable without belying or downplaying the character's problems. 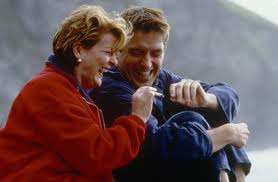 You couldn't argue that Saving Grace was a great film, or indeed a very good film. Even for the most patriotic cinemagoer in the world, its flaws, faults and foibles are all easy to recognise. But in the end it is those same foibles, along with a steady hand behind the camera, which make it worth devoting an hour and a half to its enjoyment. 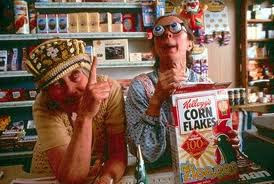 It won't give you the munchies or broaden your horizons, but you will be hard-pushed not to laugh.